Gujarat, the land of traditions and legends, is laced with rich history and cultural heritages. 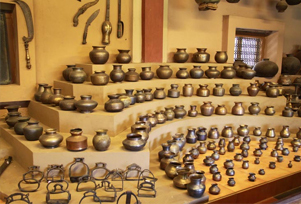 The best way to explore the richness of the Gujarat culture is through its museums. In each and every state of Gujarat, one can find rich repositories that tells the world about its traditions, ethos and culture richness. There is so much that museum in Gujarat has to offer and it will be a deliberate sin of tourists miss a tour to the museums. Owing to its rich culture and heritage, there are many galleries and museums in Gujarat. Talking about the museums, one name that deserves a special mention is the Calico Museum of Textiles in Ahmedabad. Exhibits in the Calico Museum of Textiles are displayed with great imagination, and each gallery presents a crafts of a region, a tribal group or a religious sect. Moving on with the galleries in Gujarat, Baroda Museum and Art Gallery in Vadodara is an amazing place to see European oil paintings, miniatures and other artefacts. For those who want to feel the vibes of Gujarat should take a tour to these vibrant and colourful museums and art galleries. 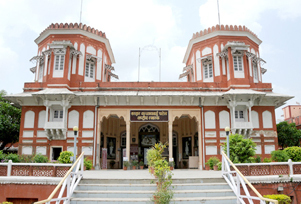 Other than these, Maharaja Fateh Singh Museum (Vadodara), Watson Museum, (Rajkot), Lakhota Museum (Jamnagar), Shreyas Folk Museum (Ahmedabad), World Vintage Car Museum (Ahmedabad), Kite Museum (Ahmedabad), Vechaar at Vishala – A Utensils Museum (Ahmedabad), Rotary Midtown Dolls Museum (Rajkot), Darbar Hall Museum (Junagadh), Sardar Patel Museum (Ahmedabad), Gandhi Smarak Sangrahalaya (Ahmedabad) and Kutch Museum (Kutch) are also worth visiting as they unfold lots of treasures troves and unknown secrets of the bygone era. A visit to the mind-stirring museums will blaze one's memory with lots of impressions and stories. All the artefacts, sculptures, precious belongings and antique items included in the above mentioned museum represents development from civilisation from the ancient days. Tourists who are fond of history and wants to experience traditions and cultures should visit the iconic museums of Gujarat. Experience the real gems of the gorgeous Gujarat through its splendid repositories.